Caught Doing Great Things' Pencils. No. 2 pencils in neon colors make great rewards. 7-1/2" with erasers. Pack of 12. 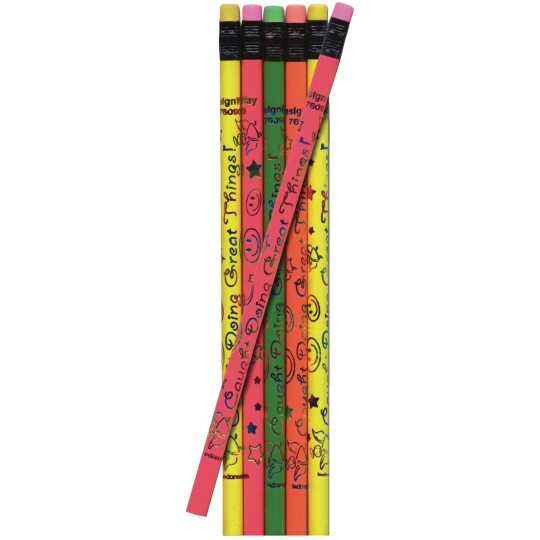 My teacher gave one of these pencils to me in 2nd grade! Now I'm in 7th grade and I still use it! AMAZING!